Everyone loves a cheap burger, but everyone knows the consequences that come with consuming such low grades of beef, thats why its a fine line to walk when ordering such delicious and destructable delicacies. For years consumers have been adding $1 menu items onto their value meals to prevent an embarassing second trip back to the counter for more food. 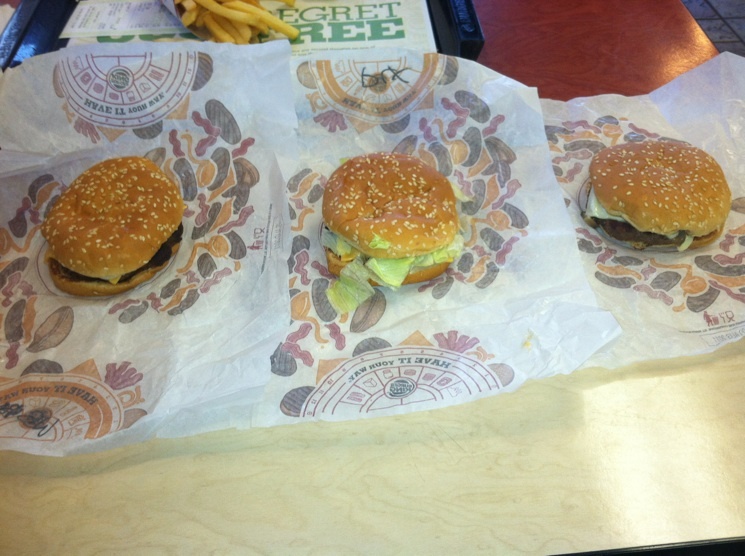 In Mid October, BK rolled out their BK Toppers line, in 3 different varieties (Swiss & Mushroom, Deluxe, and Western). 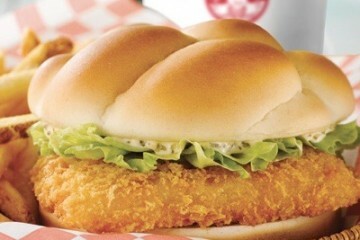 a 3.2 oz burger patty priced at $1.99. 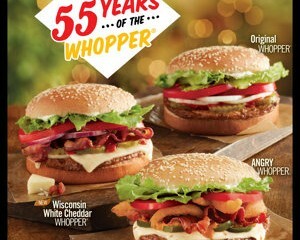 A dollar more than their already well established BK Stacker line, which may I add, include bacon. None of the new varieties include the delicious and according to KFC, “famous” ingredient of bacon. Seems to me that their pricing scheme is a little off. Nevertheless, I figured I’d give it a try. At first glance, these burgers look quite sizable. Girthy ground beef, nestled in their sesame seed buns, topped with a variety of items. 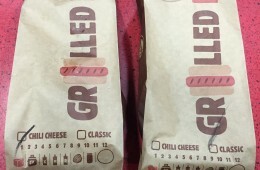 I unwrapped each burger and set them side by side. I first tried the Mushroom and Swiss variety. I’m always hesitant getting mushrooms from anywhere but my moms cooking, so I had some reservations going in. 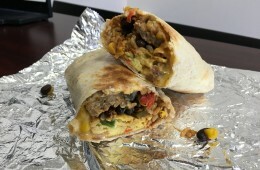 First bite down, I was thoroughly impressed. Lots of flavor. Had a great smoky, salty, almost steak like flavor, mixed with a creamy swiss cheese and the mushrooms were a nice compliment to give the burger some substance. 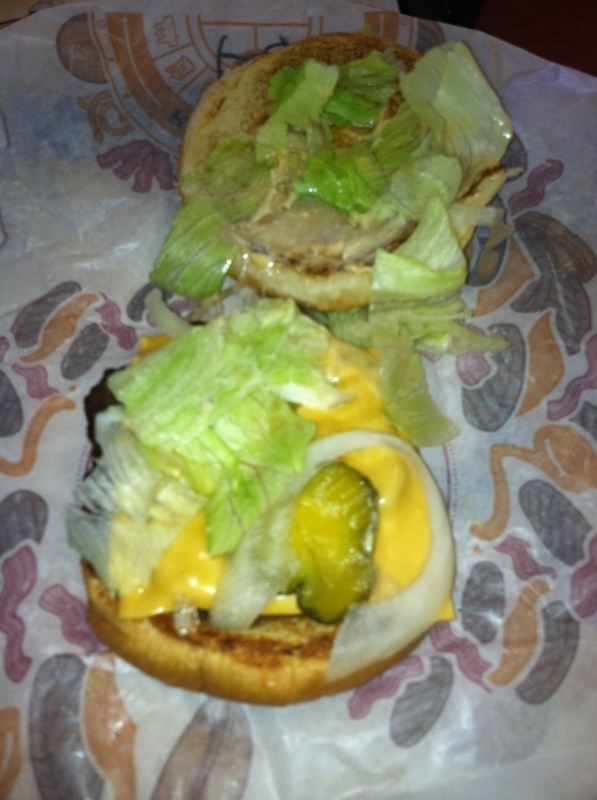 Definitely surprised at the quality of this burger. 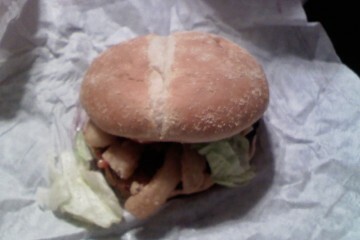 Next up was the Deluxe. 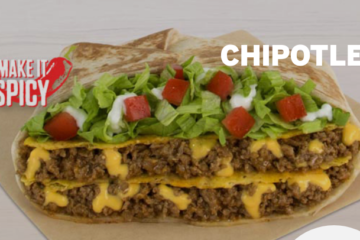 BK has advertised that this has a special sauce, which makes me think of Mcdonald’s Special Sauce that they slather all over their big macs and other burgers upon request. 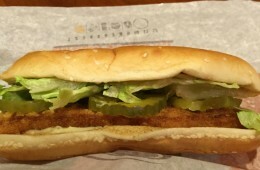 After one bite, I was convinced they had a secret agent who infiltrated Mcdonalds headquarters and extracted that recipe for use in BK restaurants. 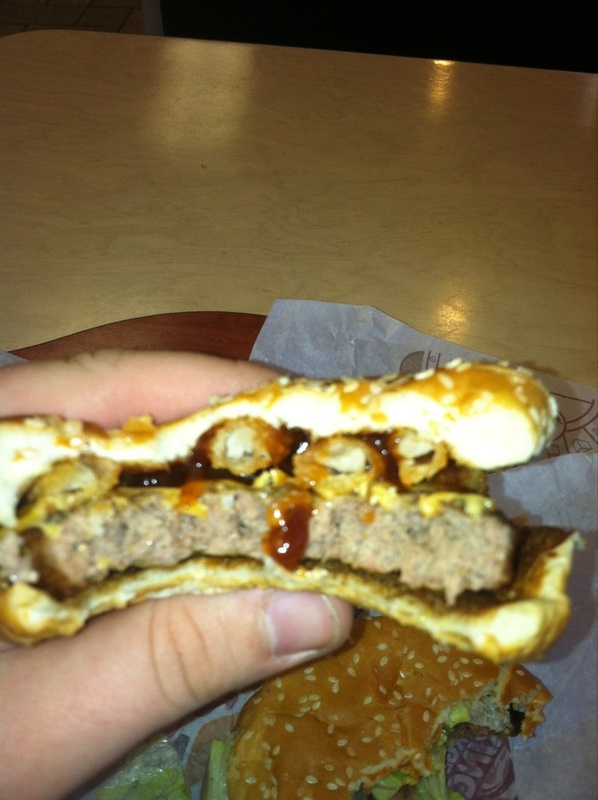 This thing tasted EXACTLY like a Mcdouble from McD’s w some special sauce added. The so called deluxe ingredients were present, but they were droopier than Phil Mickelson’s Moobs after the final rd of the US Open. 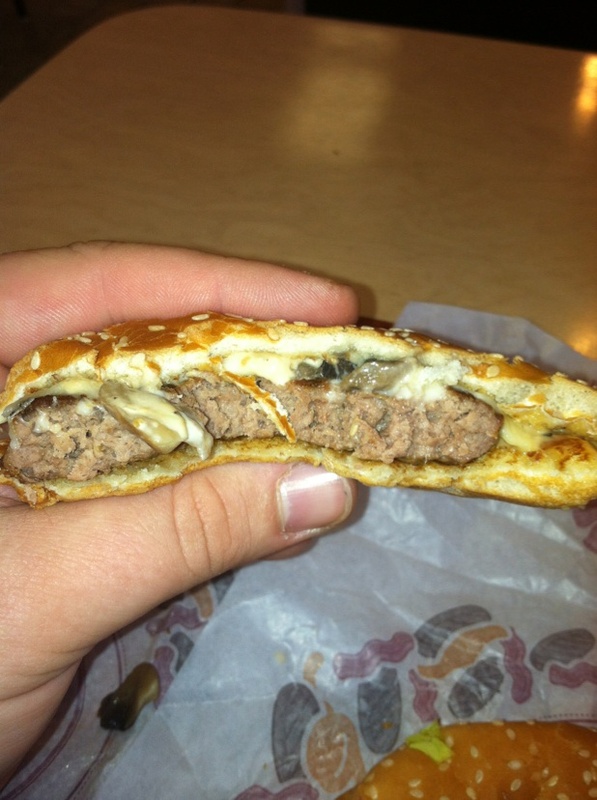 The patty on my Western, was more charred than Joe Paterno’s legacy at Penn State. Crunchy to say the least. The onion rings were chewy. No crunch at all. 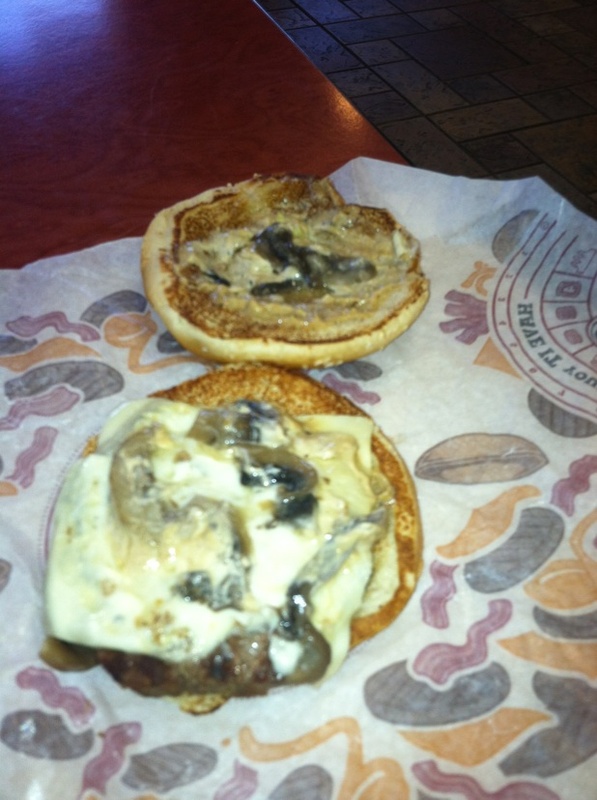 Gave the burger such a stale taste that I was kind of upset I didn’t just order two mushroom and swiss ones. It is now I would like to raise some questions that I have pondered for years. 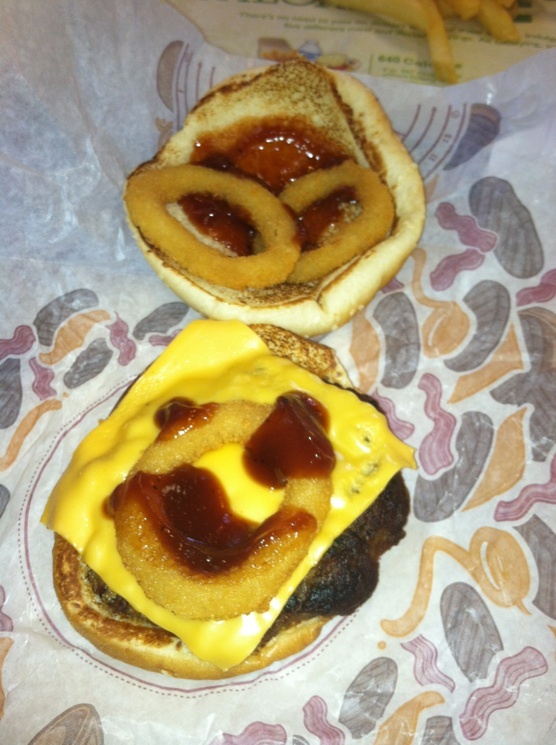 Why do onion rings and BBQ sauce make something “western”? 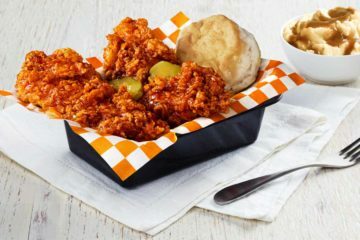 Did cowboys and indians, ride thru the plains and deserts with satchels of fried onion rings, and jugs of BBQ sauce, giving them to their women and slathering them with succulent smoky sauces? And since when did a western burger not include bacon? Maybe its just me, but Bacon should be present on everything, especially if its touted as western. At the end of the day I was quite stuffed, but not quite satisfied. 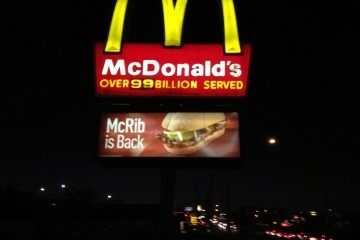 If I were to recommend anything to BK it would be to embrace the bacon. 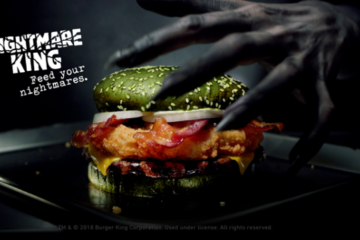 Adding Bacon to all 3 varieties will definitely improve these burgers ten fold, and it will also give the consumer a reason to spend a whole extra dollar more than their already delicious BK Stackers. Slop of the morning to ya! 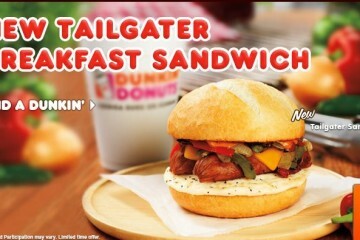 I remember back in BK's early stages of the buck menu, they had a rodeo burger. It seems it's the exact same thing as the western topper. Any comments on this? I remember said burger that you're referring to and I did some research. Appears that the Rodeo burger actually had two patties of beef. 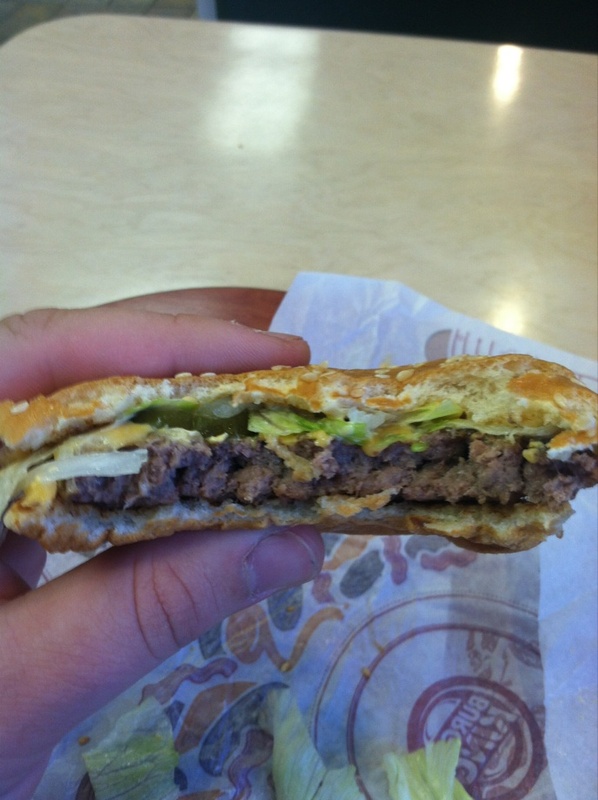 Appears to look just like their double cheese burger type of patties. 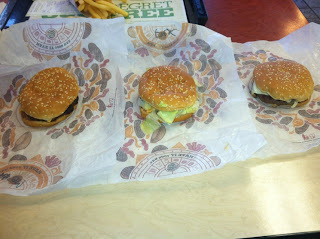 Verdict is still out on which meat wins out, but the Western only packs one patty.